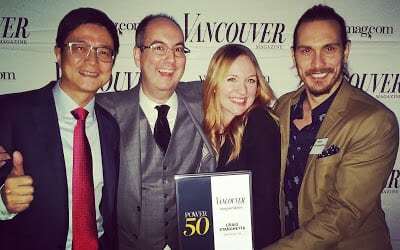 VANCOUVER, BC – On Monday the 14th of November, the Vancouver Club hosted the annual celebration of the 50 most powerful people in the city. The reception for the city’s most influential people included some beautiful music by talented jazz musician Max Zipursky on a Fazioli piano on loan from Showcase Pianos. Local sensation Craig Stanghetta was listed among the 50, a designer that is responsible for helping update some of the city’s important retail locations and restaurants.